This is the second study for “The Welder”. The inspiration for this work came from a New Yorker magazine cover. The actual cover was given to me as a gift almost 30 years ago. 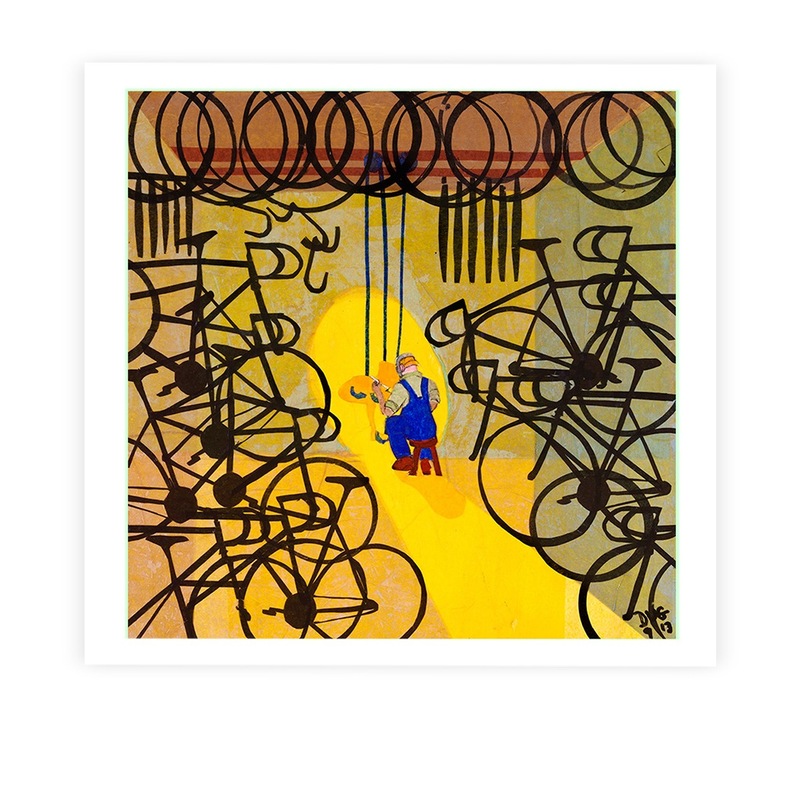 It is a humorous portrait of the usual bike shop found before the “modern era” of super bicycle showrooms. Tom Avenia’s shop on east 116th St. In NYC or Kopp’s Cycles on John St. (alley) in Princeton N.J. were real life examples of the “old school” stores I spent hours in learning my bike racing trade. 12″ x12″ paper and urethane collage on birch laminate.